Did Judas betray Jesus for the 30 pieces of silver? 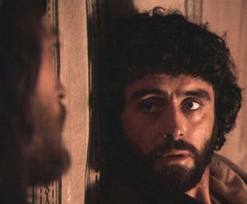 Nonetheless, it seems that there has got to be more to the story of Judas than just greed. If it was about the money, Judas could have held out for a lot more than 30 pieces of silver to help the Jewish power structure rid themselves of their adversary, Jesus. And if he was interested in money, why did he hook up with this penniless band of “drifters” in the first place? Not a good move for someone driven by greed. If the “Devil made him do it,” as the saying goes, does that kind of let Judas off the hook? Do you know who else betrayed Judas? Peter did. Peter publicly denied his friend, Jesus, three times. But Peter didn’t give up. He asked for forgiveness. Do you know who else betrayed Jesus? With each sin, we betray Christ. To me, here is the significance of Judas’ betrayal: he could have been saved. Jesus would have forgiven him if he asked right up to the last split second of his life. After all, that is exactly what Jesus did to the thief hanging on the cross next to Him. The thief repented. Jesus forgave him and said He would see him in paradise. It’s the most radical idea in the history of the human race, this forgiveness. It goes against our grain. And yet it is one of the greatest of lessons for us to learn from Jesus. We’re called to identify our sins and ask for God’s forgiveness. Some attribute all kinds of other motives to Judas for his betrayal, some less toxic than others. The lesson to each of us is that we are so valuable in the eyes of our God, that He gave us Good Friday. He sent His Son to pay the price for our sins. This Friday, Good Friday as it is known in the Catholic Church, I won’t be thinking about Judas’ betrayal as much as I’ll be thinking of my own. As I ask for His forgiveness, I know that Easter comes.